The other, smaller, Max of 2015. 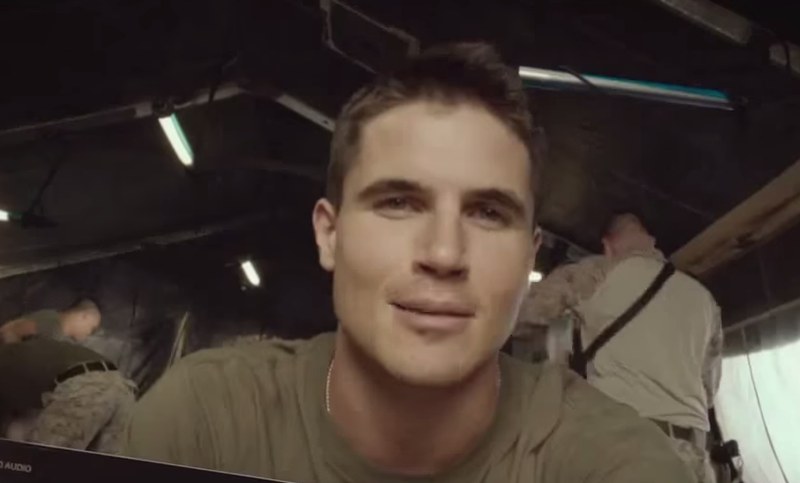 Out in Afghanistan, US Marine Kyle Wincott (Robbie Amell), makes rounds with his most loyal friend, German Shepherd Max. Max servers as his eyes, ears, and support during the most harrowing of times. 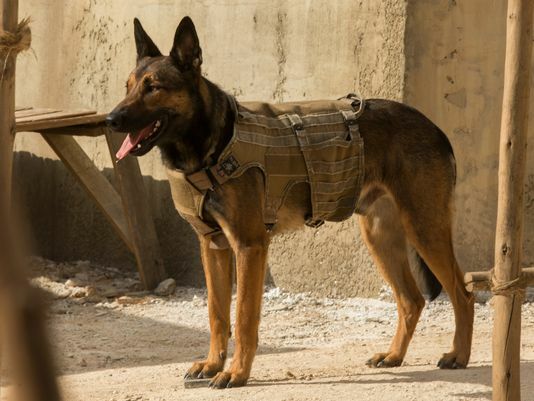 Sadly, Kyle loses his life during a patrol with his unit, and the aftermath proves to be traumatic for the war dog. Back at home in Texas, Kyle’s family learns of the heartbreaking news. His indifferent brother who-has-a lot-of-growing-up-to-do Justin (Josh Wiggins), was never all that close to his older sibling and keeps to keep to himself amongst his family. But oddly enough, he is the only person with whom Max is not hostile towards once Max comes home. As Max is Kyle’s last piece in the world, the Wincotts take him in to prevent him being put down. Slowly but surely, Justin slowly begins to grow closer to the dog, who changes not just his life, but everyone’s. 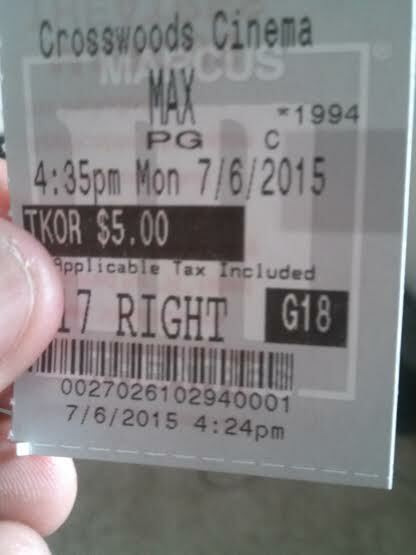 At the core, Max is a coming-of-age story, and this can be seen in the first 15-20 minutes. The exact way it will unfold is unknown, but generally, one knows that in some fashion, the dog is going to somehow help the younger brother grow into a young man. That does happen in Max, but so does a bunch of other stuff. This other stuff ends up making the movie more like random bits of shrapnel scattered about. Coming-of-age stories happen all of the time, and when done right, they can still work. No, they don’t reinvent the wheel, and can be pretty basic. But, they can provide a sometimes captivating story. Max, while far from captivating, works best when it focuses solely upon building the bond between Max and his new guardian Justin. As melodramatic (the whole film is scored to the hilt) and rushed as this bond is, it did mildly tug at the heartstrings of yours truly. The thing that is weird about this, though, is the fact that director Boaz Yakin (Remember the Titans) is not content with that emotional core being enough. As average as a movie with only that would likely be, at least there would be no struggle with trying to decipher what Max wants to be. There are so many other side plots introduced that it does end up marring the heartfelt impact. Look hard enough and one can see Yakin trying to make social commentary on xenophobia, stereotyping, and racism, but it all comes off as more cringeworthy than educational. Another subplot exists about weapons being dealt to Hispanic arms dealers in something that is probably meant to bring light to the difficulties ex-soldiers have in finding work upon returning from duty. In the movie, it never quite comes together, and ends up moving Max from a family-friendly offering to more of a very dark PG-affair. Really, the last third of the runtime evolves, or perhaps devolves, into a thriller/action. It becomes clear that the rating restricts what Yakin wants to do, and the editing in the final act sort of reflects this. The canine who plays Max is the definite star of the movie. Maybe he can be the next Rin Tin Tin or Pal in show business. As far as his human counterparts go, they are serviceable. Lauren Graham and Thomas Haden Church are no slouches, but play the average middle-class parent roles that could be filled by anyone. Josh Wiggins is the sidekick for all intents and purposes to Max, and he seems to be a little shaky in his performance in spots in what is only his second film. Aside from common names in Graham, Church, and Jay Hernandez, much of the heavy lifting here is left to those who play teenagers. Like Wiggins, the people playing the roles have very limited experience in film, or even acting for that matter, and it unfortunately shows more times than not. Though some credit has to be given to Yakin for trying to diversify a standard coming-of-age story, sometimes the best path is sticking with the well-worn one. Max suffers from not knowing what it really wants to be, taking multiple but ultimately small bites at different ideas instead of a big but fulfilling one. Photo credits go to kidsmoviehq.com, usatoday.co, and dailymotion.com. Dude, there is one sequence where Max does go Air Bud! It is so over the top and hilarious haha. But, you’re fine never checking this out. I think it wants to be more than just a coming of age story, when it really just should have been fine being that. It’s crazy how some films are extremely tough to write about, right? Sounds like this didn’t even warrant your thoughts haha! I actually had a fairly easy time writing about this…really surprised at how “dark” (and not in a good way) it got, and the laughable moment when Max goes super Saiyan breaking out! Not really worth anyone’s time.